Raymond Marlin Paine, 94, died peacefully at a Caldwell care center on Monday, October 15, 2018. Marlin was born in Caldwell, Idaho on August 24, 1924, to John D. and Ethel (Mowbray) Paine of Marsing, Idaho. Marlin graduated from Marsing High School in 1943 and then worked on the family farm. 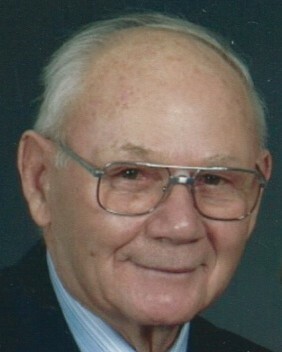 He enlisted in the Army and was stationed in Germany during World War II during 1946 to 1948. After returning from WWII, Marlin enrolled in the College of Idaho where he met the love of his life, LaVonne Underdahl. They were married for nearly 62 years until her death in 2010. He and LaVonne first lived in Marsing where Marlin farmed with his Dad and brother, Everett. In 1955, the Paine family purchased sagebrush ground outside of Caldwell near Lake Lowell. They cleared the land to expose the fertile farmland which they used to raise crops, cattle, and their five children, Voni, Suzie, Janet, Marliss, and John. Marlin’s passions were his wife, family, farm, and faith. His constant support was for his children, their education and the community. He was a board member for the Vallivue School District for nine years, he served on many committees and boards for The Nampa Church of the Brethren, and he became very involved with organizations such as Producers Supply Co-op, and the Beet Growers Association. Marlin and LaVonne were involved with their grandchildren and great-grandchildren’s lives by attending their programs, ballgames, graduations, and weddings. Marlin was a people person and loved the warmth of conversation, smiles, and hugs. In the years since LaVonne passed, he continued to connect with members of the community, church, and new friends he encountered at Karcher Estates and Autumn Wind. Marlin was preceded in death by his parents, brother, wife, and son-in-law, Rick Blosch. Marlin is survived by a sister, Joanne Barber, and his children Voni (Hal) King, Suzie (Jim) Smith, Janet Blosch, Marliss (Jack) Robertson, John (Shawna) Paine, 12 grandchildren, 17 great-grandchildren, numerous nieces, and a nephew. A viewing will be held at Alsip and Persons Funeral Chapel (404 10th Ave South Nampa, Idaho) on Tuesday, October 23 from 4:00-6:00 pm. A Funeral service will be at the Nampa Church of the Brethren (11030 Orchard Ave, Nampa, ID 83651) on Wednesday, October 24 at 1:00 pm. Marlin’s family would like to thank the care givers from Karcher Estates and Caldwell Autumn Wind for the kindness shown during the last six years. Memorials may be made to the Nampa Church of the Brethren. Funeral arrangements are under the care of Alsip and Persons Funeral Chapel, 404 10th Avenue South, Nampa, Idaho 83651.